Before I reveal my latest craft room configuration, let me give you some background. Many weeks ago, I signed up for the Scrapbook.com "Get Organized" class when they put it on for free. It's a 27 week class with a new craft organization challenge landing in your email inbox each week. I was just filing them away without having read them. I was going to read them all over the holiday break. Turns out, the links expire. Luckily, I started reading in or about week 25, so I had a more current link to the content where I found a "read ahead" link and was able to retrieve all weeks. So, that is the guidance I followed for redoing my craft room. The first thing I wanted to do was rearrange my furniture. I used a piece of graph paper to draw my room. Then I cut out furniture parts from more paper. It's like making a paper doll for your room. I was able to quickly and easily move furniture around until I got a configuration I liked. I could take a picture of it before I re-arranged it again so that I could see my top three "best" layouts before committing to one. I previously painted my room grey with the intention of accenting with teal and purple. I haven't been able to achieve the accented look but I think it's close enough. I settled on congruent containers instead of repeating the same one. I tried to stick to my teal and purple combo choice but I didn't find many. So, I fell back on neutrals: black, grey, white and brown. Another dilemma I faced: I need to see it to use it but, simultaneously, I don't like clutter. Well, how can I have it all put away but still see it? That was a challenge. I think I've reached a happy medium though. I wanted to share a bit of my process with you and the great links to all the inspiration I found on the web. 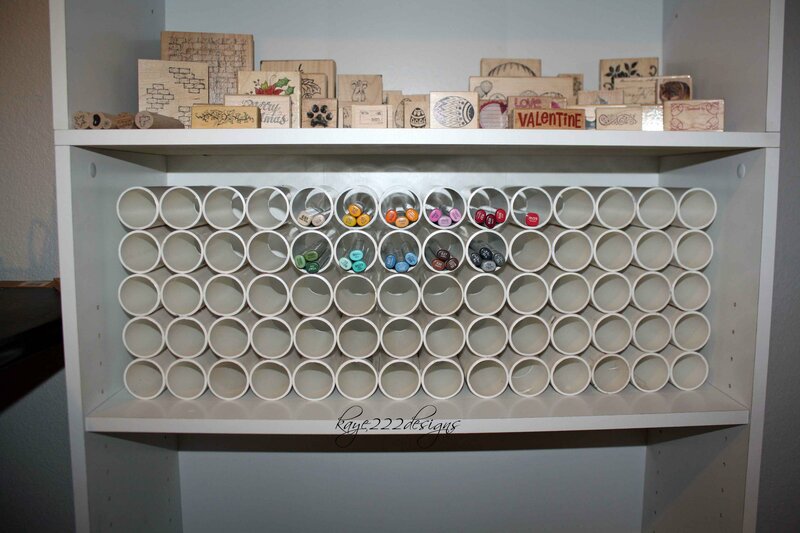 I love the DIY storage ideas and also ways to make ugly storage pretty. 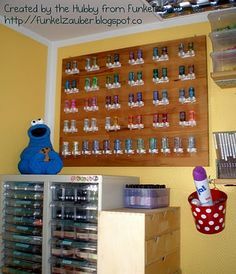 My favourite ideas were how to make supplies pull double duty as room decor - that makes them visible and yet organized. A big THANK-YOU to all the crafters out there who have shared their ideas and their spaces! I'll be taking some pictures and a video of my new configuration soon!